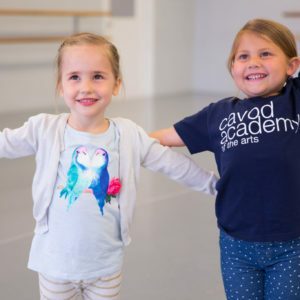 Cavod Academy offers an early arts program for preschool students. Our Early Arts programs provide a mix of art, music, dance, and gymnastics and are designed for preschool students between 2.5 to 4 years old (by Aug. 1st). A diversified curriculum of art, music, dance, and gymnastics specifically designed to provide a rich creative experience early, when children are most open to self-expression. Each month, a new theme will be incorporated into lessons.